Time to sell you River Colony condo? Read about today's resort-market buyer. River Colony condos are low-density, allow pets and have an outdoor pool along with a BBQ area for owners and guests. 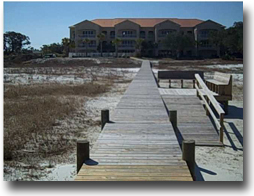 The condos in the River Colony are located in a quaint area of Perdido Key near the Lost Key Golf Club and Big Lagoon State Recreation Area. These condos are approximately 30 minutes from the Pensacola Regional Airport and all of things in Pensacola, FL such as shopping, restaurants and a variety of local attractions such as the Pensacola Blue Wahoos; a minor league baseball organization of the Cincinnati Reds. Please let us know if you would like further info for the River Colony or any other condos, homes or real estate along the Gulf Coast or would like to schedule a private viewing by emailing info@condoinvestment.com or by calling 251-Area-Pro (251-273-2776) for immediate assistance.